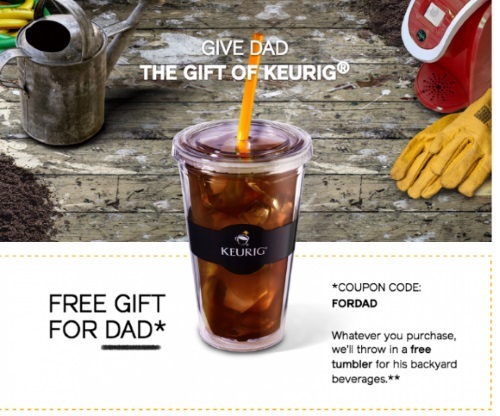 Keurig is offering a great bonus for Father's Day! Get a Free Iced Coffee Tumbler with any online purchase with the promo code below! Enter the promo code FORDAD at checkout. Offer valid for a limited time. Free shipping applies on orders of $70 or more. Also, look out for a Free Sampler Pack that can be applied to any online order as well, more info here. Click here to browse Keurig.